'All The Money In The World' Re-Shoot Was Decided 'In A Heartbeat,' Ridley Scott After Kevin Spacey was accused of sexual misconduct, director Ridley Scott raced to save his film. He gathered the cast and crew and shot 22 scenes in nine days — this time with Christopher Plummer. Director Ridley Scott on the set of All the Money in the World. The news spread quickly. Spacey publicly apologized, but more allegations followed. Netflix dropped him from the cast of House of Cards and announced it would no longer release another Spacey film that was in post-production. Ridley Scott decided he had to replace his lead actor before anything dramatic happened to All the Money in the World. "In a heartbeat — took about 20 minutes," Scott says, "because I can't let one person's actions affect the film to the extent that we may not have actually released it. I couldn't let that happen." All the Money in the World was inspired by a true story about billionaire John Paul Getty, who famously refused to pay the ransom when his grandson was kidnapped in 1973. Scott's casting change-up was a highly unusual move, but producers Dan Friedkin and Bradley Thomas immediately agreed to help save the film, which was originally budgeted at $40 million — they gave Scott another $10 million for the re-shoot. Thomas says, "There was just a confidence with Ridley that gives everybody else confidence that felt like we could pull this off." On Nov. 20, a few weeks after the Spacey allegations broke, Scott began to re-shoot key scenes — this time with actor Christopher Plummer. The filmmaker brought back his cast and crew and shot 22 scenes in nine days. Just four days after that, they had a rough cut of the film ready to screen for the Hollywood Foreign Press Association, which ended up nominating Scott , Plummer and actress Michelle Williams for Golden Globes. Plummer, 88, has decades of experience on screen and on stage. He says it was a cinch to perform extemporaneously. "Prepare is a funny word — I don't usually prepare," he says. "I leave it up to instinct and imagination. ... I had no time to research it or anything. Right, bang, right straight in." 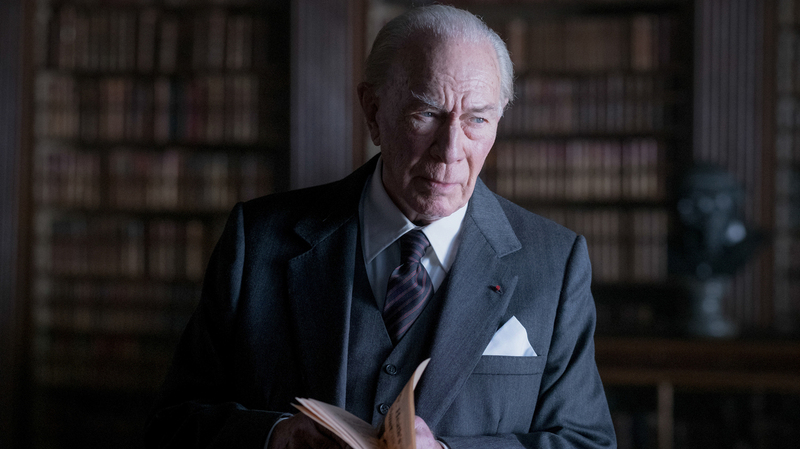 Christopher Plummer's role in All the Money in the World was originally filled by Kevin Spacey. According to the film's editor, Claire Simpson, Plummer's performance elevated the movie. She says he made Getty more stubborn and fragile in his old age. "It felt very authentic and really quite touching." Spacey, meanwhile, "had much more bravura and it was much more lighthearted." Actress Michelle Williams returned to her role as Gail Harris, who battles Getty, her former father-in-law, to save her son. Williams says she didn't hesitate when Scott asked her back over the Thanksgiving holiday. "I said, 'Yes! Tell me when and where. I'm there. You got me,' " she recalls. She even worked for free to redo her scenes. Actor Mark Wahlberg also redid his role as an ex-CIA operative who works for Getty. When the call came, he had already lost 30 pounds and grown a beard for another film. He and Plummer didn't have much time to get to know each other. "We basically said hello as Ridley was saying, 'Rolling and action.' 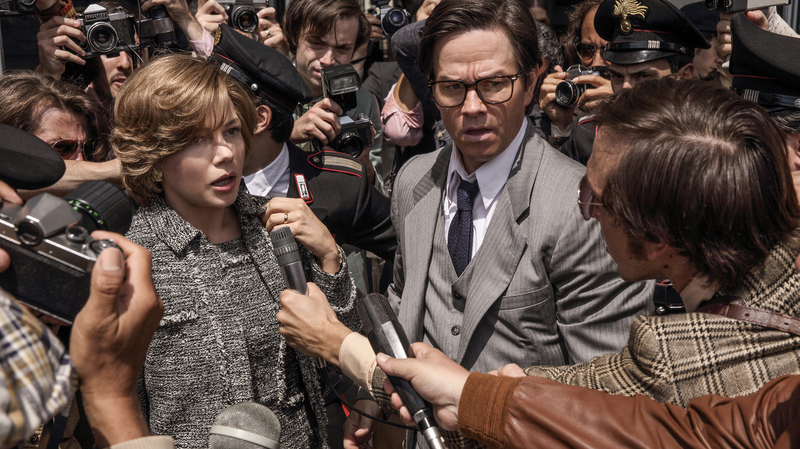 "
Michelle Williams and Mark Wahlberg both returned for the All the Money in the World re-shoot. Williams plays Gail Harris, whose son has been kidnapped, and Wahlberg plays an ex-CIA operative who works for Getty. Scott, an Oscar-nominated director, is known for bringing films in on time and under budget. It also helped that he had storyboarded the movie, so they knew exactly which scenes to re-shoot. Editor Claire Simpson says, "We were able to just work very fast, very hard and get it done. It was almost military precision." The film was originally shot in Italy, Jordan and the U.K. But with no time to return to Jordan, they began by filming Plummer in front of a green screen and digitally replacing Spacey with Plummer. Other scenes were shot on location near London and in Rome. All the while, Simpson and her team edited away in London. "After each scene, the camera department would download the camera data, send it to us ... and I would cut the morning's shoot that afternoon," Simpson recalled. "Ridley would come to the cutting rooms after the day's shoot and would actually see the cut of morning's shoot. Basically, it was just a continuous stream of data." The edited scenes were then sped off for a sound mix, a color correction and a score adjustment. Scott says he was thrilled by the race to open on Christmas Day. "That was a rush, but I love a rush, you know? Filmmaking is my adrenaline." All the Money in the World is already getting Oscars buzz. It may soon compete with movies that, by comparison, were made with all the time in the world.